I’m Ilene Shewitz and this is Lesley Brooks – your TBAY co-presidents. It’s again our pleasure, on behalf of the Board of Directors, to welcome our members, your families and all of our guests to Temple Beth Ahm Yisrael. I was reading an article last week titled “The Best Things In Life Aren’t Free – Neither Is Being Jewish”. The article talked about the issue of the high cost of synagogue membership. It also talked about it being a “Shanda” if there is even one person among us who feels that it is prohibitively expensive to be a member of a Jewish community. But what exactly is prohibitively expensive? For some of us it’s a daily cup of coffee from Starbucks. For others, it’s Temple Dues. But in either of these cases, if it is a non-negotiable benefit for you, you’re not going to think it is prohibitively expensive. So, if Judaism is a non-negotiable point in your life and you want to make sure that this Synagogue is around for you and future generations then we need your help. L’Dor Vador – Generation to Generation. Like the article, there are members here who feel that TBAY’s dues are too high. If you read the annual report, and a big thank you to Glenn Wohl who worked very hard to put this together, you will notice that if we had no other revenue sources, dues would be $3,865 per year per household. Yet on average, your dues responsibility is $2,620 per family household. TBAY is significantly subsidizing dues for every family here and there is an application process for those in need of further assistance. 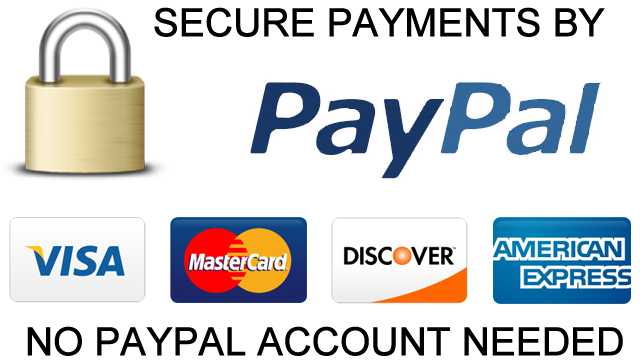 In light of the subsidized amount, the temple cannot sustain itself on dues alone. In fact, dues cover only 22% of the temple’s operating budget. This is why we are always seeking other sources of funding, through our fundraisers, high holy day appeal, etc. This funding is critical to the survival of our community. 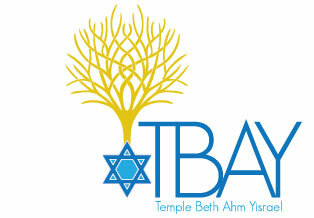 As you all know, TBAY is open and available to all of our members and non-members well beyond Rosh Hashanah and Yom Kippur, but without ongoing financial support it can’t provide the exciting programming and welcoming community that I have grown to love. As a member for 25 years, with children who have grown up in this temple, it is of great interest to me to keep this place not only alive but vibrant so that my family can continue to enjoy it and, even more important, future generations can continue to enjoy it. L’Dor Vador. Honoring our past, securing our future. We have made a lot of progress over the past two years. We no longer have a $1.69 million loan. The L’Dor Vador Campaign has received and deposited just over $1M with about $93,000 committed but not yet received. Our loan has been refinanced and is now down to $390,000. Our Treasurer, budget committee and Executive Director have worked very hard to make significant spending cuts and have been watching every dollar to restore our financial health. In the past few years, we have received donations to replace the windows in our school wing, put up new lights in our parking lot, and we will be putting in a My SplashPad for the children in our summer camp. Even with this progress and these improvements, our building continues to age. Our sanctuary and other parts of the building are 55 years old. As we briefly mentioned in our Rosh Hashanah speech, short term goals facing the Temple are building repairs. We are dealing with roof leaks, 20+ year old HVAC units, and a parking lot that needs re-paving. For this reason, we are revitalizing our L’Dor Vador Campaign to pay off the mortgage. 139 families have already made a L’Dor Vador pledge. The committee will be seeking the support of those that have yet to commit. We would love to add more families to the beautiful L’Dor Vador plaque that is prominently displayed out in the front hallway. If L’Dor Vador isn’t an option, maybe you could join our Create A Jewish Legacy Society. Create A Jewish Legacy is a partnership program for Jewish communities across North America which promotes after-lifetime giving to benefit local Jewish day schools, synagogues, social service organizations and other Jewish organizations. No donations are necessary today…the simplest method of leaving a legacy is through a will or estate plan or by adding (or changing) a beneficiary designation on a retirement fund or life insurance policy. CJL was created to assure Jewish tomorrows. L’Dor Vador. Temple Beth Ahm Yisrael is one of fifteen Jewish organizations of the Jewish Federation of Greater MetroWest NJ that was selected to pilot this program. The Grinspoon Foundation has set participation levels which has allowed TBAY to receive $27,000 in grant money over the past 3 years. The current 42 members have participated in various events such as recognition brunches and community-wide events, bricks located on the front walkway and many are proudly wearing the Legacy name badges. Please join the effort to make sure that Temple Beth Ahm Yisrael remains a vibrant community with a beautiful building by participating in the L’Dor Vador campaign and/or joining the Create A Jewish Legacy Society. Show your family and community that the future of Judaism and this synagogue is important to you.